Crescent Garden rotationally molded products provide a great value given their 10 year limited warranty. Manufactured with an extremely resistant resin, our crack proof planters provide years of enjoyment. Our planters will never crack in the winter or fade in the summer, as they are protected against harsh weather and ultraviolet rays. All Crescent planters are easy to handle and convenient to install. 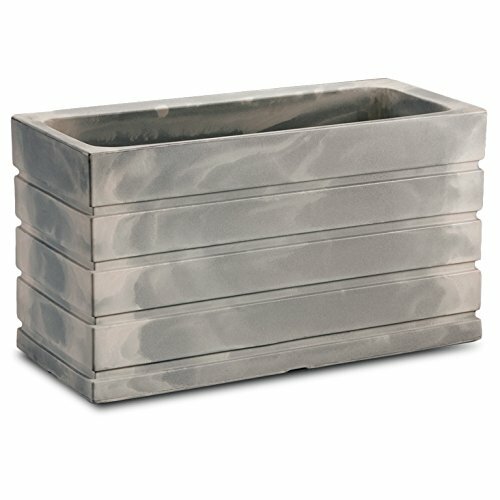 Our planters are designed with the health of the plants in mind. Drainage holes are provided without the need for punch outs or drills. If you have any questions about this product by Crescent Garden, contact us by completing and submitting the form below. If you are looking for a specif part number, please include it with your message.